The consortium building the new Champlain Bridge says the project will be complete by December 2018. This comes Le Journal de Montreal reported the bridge will be delayed due to thousands of defects. Signature on the Saint-Lawrence, the consortium group constructing the bridge says that things are going as smoothly for the 2018 completion date. 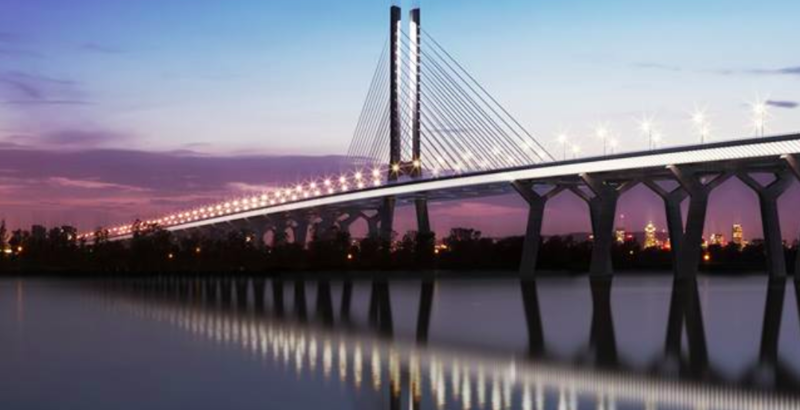 “We are targeting the delivery of the bridge in December 2018 as planned,” Véronique Richard, media relations advisor for Signature on the Saint-Lawrence, told Daily Hive via email. In October 2017, news broke that over 800 workers were scrambling to complete the bridge on time. Once the new bridge is completed, the old one will begin to be demolished in 2019, though it is expected to take four years to come down. The new $4-billion bridge is expected to last for 125 years.